After finishing the stitching on my tea coasters, I decided to work on one of my big pieces. 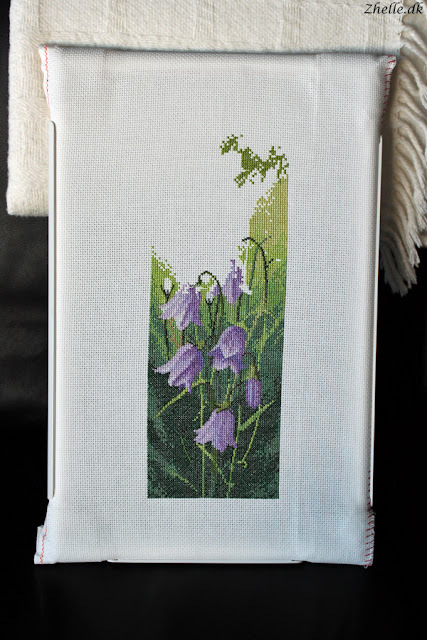 The harebell panel is back! The last week or so I have put in a lot of stitching as pure craft therapy, so am very happy with the progress I've made. I am almost at the top of the piece now, so I have a good idea of how far there is to go on it. As I wrote about last week I now have a current number of projects in the sidebar. The number, for the cross stitch ones, are where I haven't finished the stitching, as some of them take a long time for frames and etc to be found. That has already gone down from 12 to 9! 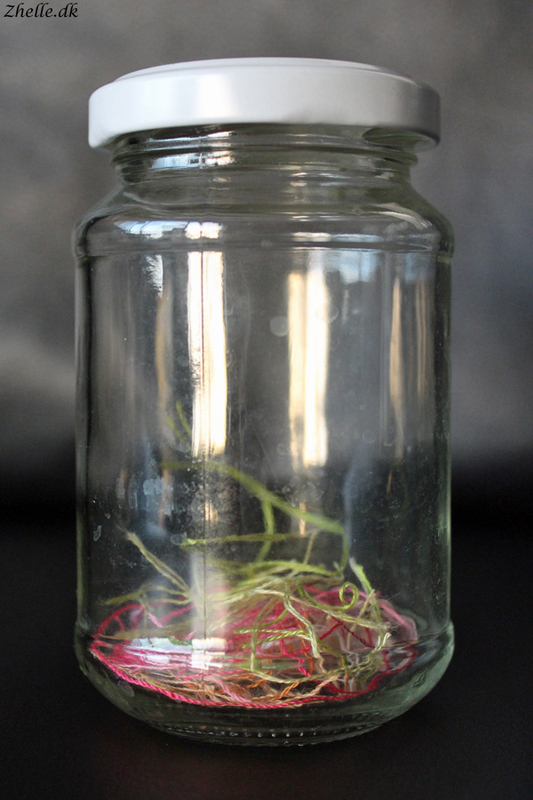 I also started a new ort jar, that's gonna be purely 2016 threads. When the year is done I am going to put all the colourful threads in a transparent bauble with a stitched "2016" and voila! A pretty Christmas ornament!